Seriously, what’s going on lately?! Remember: in February, Sleepy Dan, one of my closest friends and a former bandmate passed away, aged 46. In March I’ve stated that everybody seems to be dying lately after a friend of our family has left us as well, aged 59. But then only one week later a young friend of my wife also died, suffering from a heart disease. She was mere 26. At that time I thought: “Three persons have gone now, actually that’s been already enough people for this whole year.” Obviously I was wrong. Last week I’ve been informed that yet another two former members of the Ugly Blues Connection/Ugly Bluz, our band in the mid eighties, have passed away recently. Roman Gondolán was one of our regular drummers in 1984 and 1985. As a big fan of acts like Earth Wind & Fire or George Benson he loved to play light and funky disco grooves. Although that didn’t really matched our style then – apart from playing blues rock we used to listen to more freaky stuff like Zappa, George Clinton, Slickaphonics or the very early and yet-to-become-famous Red Hot Chili Peppers – Roman was probably the funkiest drummer who joined our band in the eighties. Like me, Roman was a Czech emigrant in Switzerland. He became a close friend of my family and he even lived with us for more than a year. He originated from a famous Roma family of musicians: his father Antonín Gondolán (planned to be introduced here on Funky Czech-In very soon, by the way!) used to be a member of the Karel Gott Orchestra. After spending a couple of years in Germany, in the early 1990s Roman returned to the Czech Republic. As far as I know, he mostly gave up playing music actively. The last time we met, it was by coincidence in a street café in Prague about ten years ago. 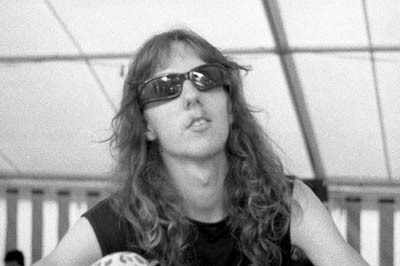 Roman died of cancer in November 2006, aged 42. Johannes Lange, a.k.a. Hännu, was from Berne, Switzerland. He used to be my neighbor in the mid eighties, living in the same house where we lived with my mom, my brother and… with Roman. He was hanging around with our band and sometimes he acted as our road technician. With his 8-track mobile recording facility he was later the sound engineer of an Ugly Bluz session in 1987 which we originally planned to release as an LP; unfortunately that never happened, three songs from that session still appeared on local compilations though. 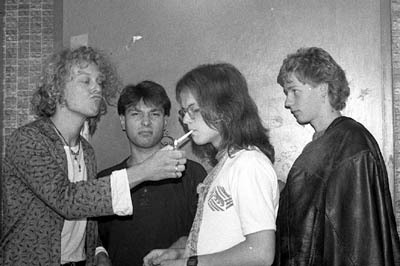 Hännu also used to play bass guitar, around 1990 I joined his cover band named D.I.Y. as a drummer for a short time. (It needs to be said that I’m a horrible drummer though… :) In 1995 I’ve purchased his old analogue mobile recording equipment which I still have in my studio today – although I didn’t use it much in the past years. The last time I’ve seen Hännu, it was six years ago when he rode 100 km with his bicycle from Berne to Basel to visit me and Sleepy Dan. And just two weeks ago I’ve sent him an invitation to the farewell party for Sleepy Dan (who died on February 21st) which will take place in May here in Basel. I was too late though. On the 6th of April, Hännu has obviously decided to put an end to his life. It was his 41st birthday. Sleepy Dan (1960-2007) – vocals, Roman Gondolán (1964-2006) – drums, Hännu Lange (1966-2007) – sound engineer. With Joel Kaiser on bass and myself on guitar. Either Sleepy Dan or our occasional special guest Boldi Debrunner was playing bluesharp on this track.